Chelsea forward Olivier Giroud has said he and Eden Hazard talked to Lyon attacking midfielder Nabil Fekir in a bid to persuade him to move to Stamford Bridge during the World Cup. The French striker added that he would "happily welcome" him to the London club. Lyon captain Fekir did not feature as the Stamford bridge side beat Lyon 5-4 on penalties following a stalemate in their final pre-season friendly match at Stamford Bridge on Tuesday. The 25-year-old was on the verge of joining Liverpool earlier this transfer window before Lyon president Jean-Michel Aulas to put an end to negotiations. 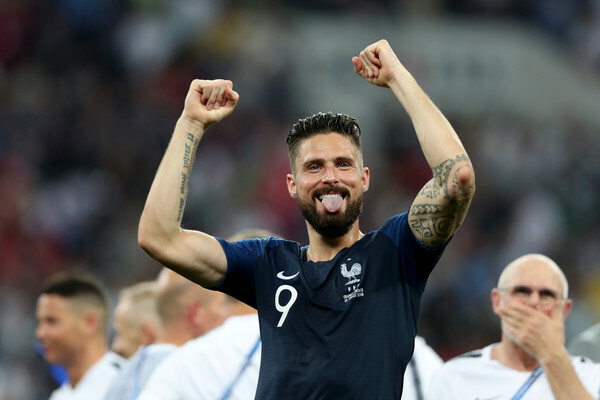 "Of course I talked to him about it [moving to Chelsea] when we were with France and his transfer to Liverpool that fell through," Giroud told FootMercato. "After that, there was talk he was coming to Chelsea, and I think even Eden put in a couple of words. We would happily welcome him. He's a super player, but I don't know if it's on the agenda right now because the [Premier League] transfer window closes on Thursday." Fekir played in 30 Ligue 1 matches last season, netting a career-best 18 goals, and after the Chelsea game Lyon coach Bruno Genesio would not confirm if his star player would stay. "It's too soon to be sure," he said. "He wanted to leave at the end of last season but he started training yesterday. Who knows? There may be opportunities that come up before the end of the window, but for now, he's a player for Lyon."